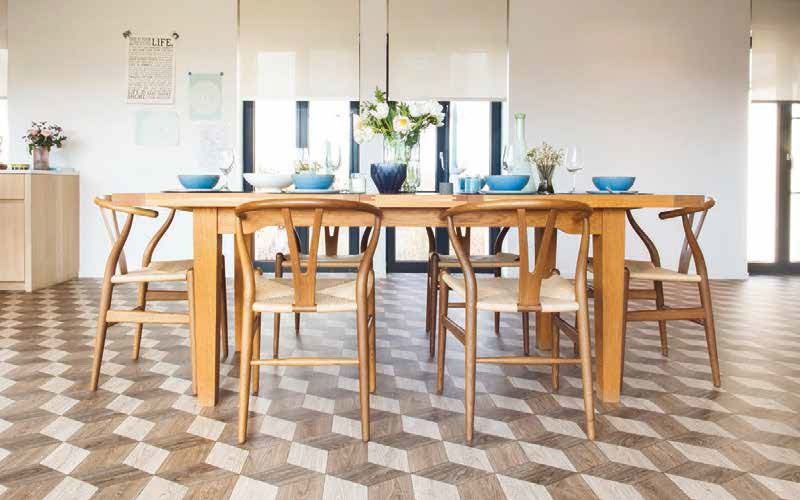 Harmony is a range of residential vinyl floorings for homes or events. It is available in 2,3 or 4m width sheets. The wide range of designs will allow you to find the atmosphere you are looking for. Easy-to-clean and hygienic, Harmony is not affected by humidity and therefore can be used in kitchens or bathrooms. Acoustic, it is comfortable to walk on. It comes in different thicknesses and a range of solid colors (Harmony Uni). Harmony S is a vinyl flooring for moderate traffic. It is 1.4mm thick. Harmony M is a vinyl floor that can stand a light commercial traffic. It responds to your residential needs in terms of resistance, cleaning, hygiene and sound absorption. It comes in 2mm thick. Harmony Uni is a range of solid color vinyl floor that can stand a light commercial traffic. It responds to your residential needs in terms of resistance, cleaning, hygiene and sound absorption. It comes in 2mm thick. It is used in exhibitions, kindergartens. Harmony L is a vinyl floor that can stand a light commercial traffic. It responds to your residential needs in terms of resistance, cleaning, hygiene and sound absorption. It comes in 2.5mm thick. Harmony L + is a vinyl floor that can stand a light commercial traffic. It responds to your residential needs in terms of resistance, cleaning, hygiene and sound absorption. It comes in 2.5mm thick. Harmony XL is a vinyl floor that can stand a light commercial traffic. It responds to your residential needs in terms of resistance, cleaning, hygiene and sound absorption. It comes in 3mm thick. It will highlight your place, whether it is a shop, an exhibition stand or your home. Harmony XL+ is a vinyl floor that can stand a commercial traffic. It responds to your residential needs in terms of resistance, cleaning, hygiene and sound absorption. It comes in 3mm thick. Its high resistant wear layer allows to use it in offices, shops or public places. The designs will allow you to create an unique atmosphere in your shop, exhibition stand or home. Our vinyl floorings Harmony have to be glued on a dry and even surface with a water-based acrylic adhesive. In case of an exhibition or temporary use, it can be fixed with double-sided tape. In order to offer an easier and cheaper maintenance, our vinyl floorings Harmony are protected with the Supraclean® treatment. The pores of the floorings are sealed, avoiding the dirt to penetrate. Harmony must be cleaned with a neutral detergent for vinyl floorings (Dr. Schutz, Ecolab, Johnson).